Ever wonder what to do with those big, gorgeous Brussels sprout stalks that start popping up in the produce department at this time of year? Roast the whole thing! The moment I noticed a recipe for Roasted Brussels Sprouts on the Stalk attached to the sprouts I found at Trader Joe’s, into my basket they went. I kind of feel like Brussels sprouts are like that late bloomer in the ’80s teen flicks who everyone initially looks down on, but by the end she’s gotten contacts and new clothes and is ultimately elected prom queen. It turns out she was beautiful all along, it just took a while for people to truly appreciate her. Brussels sprouts are finally coming into their own – hooray for the underdog! Preheat the oven to 350°F. Trim stalk of any unsightly parts. Line a roasting pan with aluminum foil and spray it with cooking spray. Whisk maple syrup and olive oil together. Place stalk on the roasting pan and pour the maple syrup mixture over (I also used a pastry brush to re-apply some of the maple syrup mixture that pooled in the pan); season to taste with salt and pepper. Roast for about 45 minutes or until sprouts are fork tender. 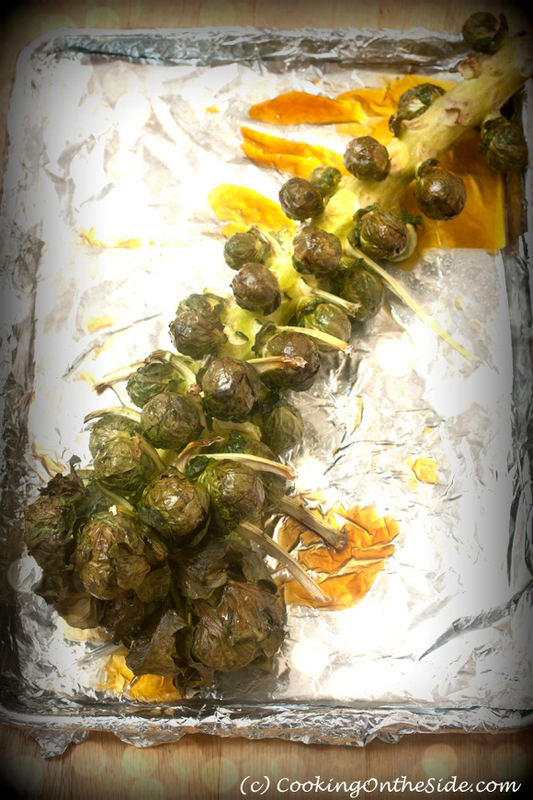 We’ve been cooking with Brussels sprouts like crazy, but I never considered roasting them right on the stalk. What a great idea! 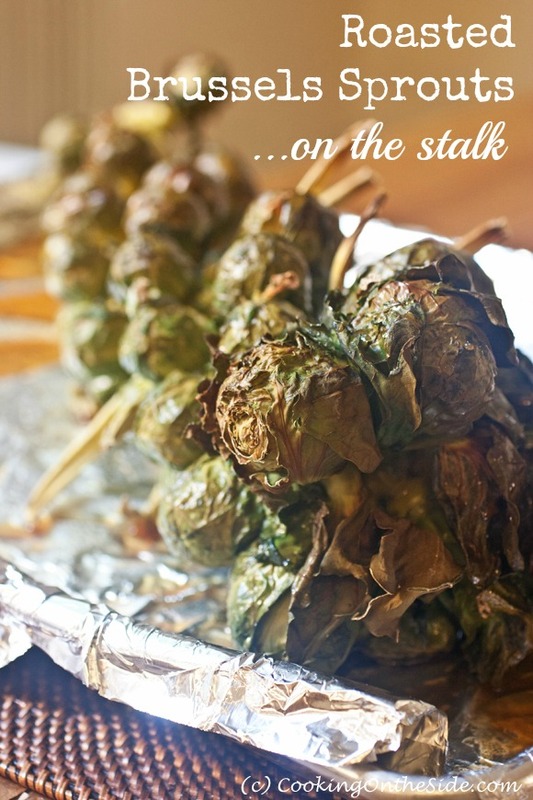 I love brussels sprouts, 80’s flicks, too :), but I’ve never thought to roast them while on the stalk. Brilliant! Previous post: Cranberry Nut Bread…Properly!